At PhentermineClinics.net, it’s our mission to build the web’s most trusted resource for information on phentermine, adipex, related weight loss drugs and weight loss supplements. Our website developers and engineers strive to maintain an easy-to-use website for our visitors. Our goal is to provide easy access to the information our readers seek. If you have any changes you’d like to suggest, please email us here. We review all feedback about our website regularly and make changes based on it when possible. To achieve our mission, our content must be objective, comprehensive and up-to-date. Content must also be trustworthy, which is why our editorial team is comprised of registered medical professionals. Browse Dr. Ahmed Zayed Helmy’s editorial contributions. Dr. Ahmed Zayed Helmy holds a Bachelor of Medicine and Surgery. His passion for medical research drives him to present maintain accurate, up-to-date information for readers who are researching weight loss drugs, supplements, diets and other options. 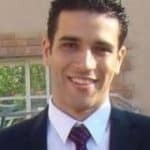 Dr. Ahmed Zayed Helmy is currently working as a Plastic surgeon at Bank El Ahly Hospital and is completing his masters at Ain Shams University. Browse Dr. Vivian Okirie’s editorial contributions Dr. Vivian Okirie is a Resident Physician at UT Health Science Center at Houston in Internal Medicine. Although new to the city, she has quickly grown warm to the Texas flare she encounters from her patients on a daily basis. 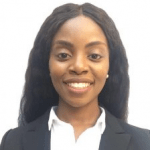 The combination of being a Morehouse School of Medicine graduate, being raised in Alabama, and retaining her Nigerian culture has cultivated her passion of working in typically underserved populations with compassion and grace. 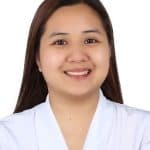 Vivian serves as a Freelance Editor in addition to Content Creator of a medical social media platform (@thenaijadoc) that works to educate the public on the journey from medical school to residency. Vivian is also a part time member of our editorial team, performing medical reviews with editing of content as needed. You may find a currently list of content Vivian has reviewed/fact-checked on her author page. Vivian enjoys fitness, traveling, trying new recipes, and having random thought provoking conversations with strangers (who become friends). Please feel free to contact me via any the included outlets. Browse Marixie Ann Obsioma, MT’s editorial contributions. Her experiences during preceptorships in medical school allowed her to see patients regularly from different medical departments. The combination of having a good medical background, being a mom, and wanting to help people especially the elderly has cultivated her passion of working in remote areas with love and compassion. Browse Radib Sarwar, RPh’s editorial contributions. Rakib Sarwar, B Pharm, is a certified pharmacist who has more than six years of professional experience in pharmaceutical marketing. He has accomplished his Bachelor of Pharmacy, from The Khulna University in Bangladesh. In his lifetime, he has gained vast experience which he generously uses to improve the livelihoods of the people he serves from day to day. 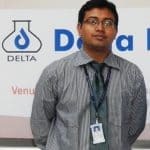 Rakib currently works full time with Delta Pharma, Ltd. In his additional time, his passion for health and interest in pharmaceuticals drives him to contribute content as part of our editorial team. We realize that in spite of our effort to maintain up-to-date drug and product information across the entire PhentermineClinics.net website, errors and omissions may occasionally occur. If you feel you have found an error or misleading statement, we ask that you contact us here to alert our editorial team so we can correct any such issues. PhentermineClinics.net supports the Consumer Reports WebWatch guidelines to promote credible information practices on the Web. For more information, visit CR WebWatch here.